According to PwC’s ‘10 Minutes on Building the Customer-Centered Organization’ which draws from key findings of their ‘16th Annual Global CEO Survey’ released in 2013, while CEOs were looking to cut costs last year, many were also planning to invest in their operations to gain a competitive advantage by offering their customers more at a lower cost. One of the ways in which companies around the world are gaining this cost advantage is by outsourcing their customer care services to a specialist IT-BPO provider that satisfies their requirements. 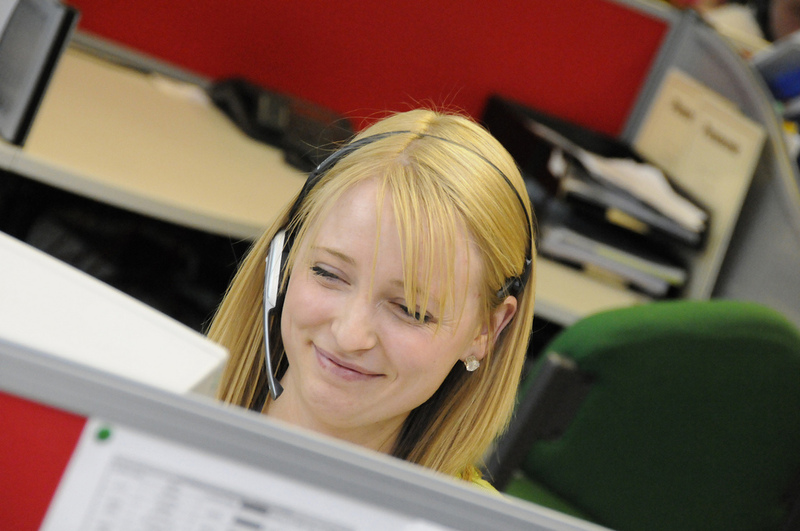 Customer care outsourcing has come a long way from the ‘call center’ days. Today, the multi-channel contact center allows customer care representatives at the BPO provider company to deliver optimized services to customers through a communication channel of their preference – be it over a phone call, through live chat on the website, via emails or on social networks. Modern contact centers are also enabled for SMS or text communication with the consumer. A wide range of customer care services can be assigned to a BPO company with the required capabilities: order management; lead generation and sales support; customer data analytics; loyalty program management; customer complaint resolution, debt collections; IVR services; and several others. 1- Gaining cost efficiencies: By outsourcing to a BPO company which offers holistic customer care services, companies can save the expense of investing in latest technologies and talent for each of these requirements in-house. Associated costs linked with continual human resource training, space allocation, and technology maintenance and upgradation are also passed on to the outsourcing vendor. 2- Building core competency: Customer care is a time- and people-intensive function that requires dedicated resources. By outsourcing this requirement, companies can free up their internal personnel to focus on the core skills of the company, thereby increasing their productivity. 3- Gaining actionable insights: According to Aberdeen Group’s survey titled ‘Customer Service Analytics: Exploit Data to Improve the Customer Experience‘ of 233 organizations, as compared to non-users, customer service analytics users are 39% more satisfied with their capability to make enhanced data-driven service decisions. Several respondents that use customer service analytics witnessed improvements across performance indicators like customer win-back rate, cross-sell and up-sell revenue, customer retention, improvement in customer care costs, revenue from customer referrals, and customer lifetime value. Hence, an outsourcing company with analytics capabilities can help generate insights for the business that can enhance customer satisfaction and drive growth. 4- Leverage best practices: A BPO company that complies with industry benchmarks, such as ISO certifications, can be counted on to deliver high-quality output and stringent data security. This will play a role in generating positive outcomes for the outsourcer organization. 5- Scalability: The success of the organization can change the scope for customer care operations. An experienced outsourcing provider will have the capability to tailor operations according to the need of the client. 6- Process optimization: An experienced outsourcing company will have the capability to address challenges that come up in customer care services and leverage opportunities. This expertise will help to optimize the outsourced processes. 7- After-hours support: One of the biggest advantages of outsourcing customer care services, especially for companies with a global footprint, is that the requirements of customers across time zones can be met easily, without having to add to in-house resources after local business hours. According to Forrester, some of the customer service trends for 2014 include measures to deliver pain-free service, proactively engage consumers, and provide personalized interactions. As customer expectations change around the world, companies can leverage customer care outsourcing to meet changing demands and derive immense benefits for their business, including enhancing satisfaction levels and building long-term loyalty. Author Bio: Arvind Rongala avidly follows developments in the BPO, IT services and customer relationship management domains. At Invensis Technologies, he is responsible for creating, executing and sustaining strategic initiatives to improve business processes and deliver the right service outcomes for clients.